Should forgiving student loan debt be the next federal bailout to stimulate our nation’s struggling economy? Robert Applebaum, a New York lawyer and organizer of the aptly-named Facebook movement, “Cancel Student Loan Debt to Stimulate the Economy,” thinks so. While the title isn’t catchy, the words “cancel” and “debt” used in the same sentence is all many Facebook users, 50% of whom are age 18-34, need to hear to get on board. A city council member in Albany, New York is on board as well, and in 2009 the council passed a resolution with a 12 to 0 vote urging the federal government to consider forgiving student loans as part of a stimulus package for young people. 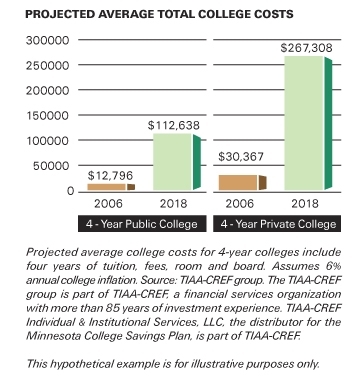 Most young people struggle to pay for college, the cost of which is increasing at a staggering rate. With the reliance on loans, this struggle can extend for a decade or more post-graduation. While financial relief for a small cohort of low-paid young professionals would be welcome, young college graduates have steeper income curves to look forward to over the course of their careers than any other age group. Does that make them undeserving? No. Does it mean federal money could be better spent in other ways? Yes – increasing financial aid for those seeking higher education, for example. A common argument for cancelling student loan debt: Young people seek out higher education necessary to obtain jobs in the public sector. They struggle to pay off their debts on their local and state employee salaries, forcing them to leave public service in search of higher paying private sector employment. By holding people to their debts, they say, the government is forcing a generation of young people eager to work for the good of their communities to sell out in favor of the big corporation. The Public Service Loan Forgiveness program, which forgives federal student loans after 120 payments for those employed full time by certain public service employers, operates for just this reason. But the question remains: Would federal educational debt relief actually stimulate the economy? Many young people are putting off marriage and childbirth until well into their thirties. They now know that they will have little to no social security to fall back on when they retire. With an extra few hundred dollars a month in his pockets, a young, single college graduate likely will not run out and buy a house tomorrow. In that case, is the answer to our country’s economic struggles a generation of recent college graduates with big screen TVs, luxury cars, and designer wardrobes? Or are young people merely being irresponsibly encouraged to trade their 3% interest education debt for 19% interest credit card debt? If this movement is to go anywhere, supporters need to get their stories straight. What is the purpose of this potential stimulus plan? Is it a bailout for those more deserving that the big banks? Is it redirecting the career paths of many young college graduates for the good of the community? Or is it merely a push for young professionals to “Buy! Buy! Buy!”, exacerbating American consumer culture for the alleged good of the economy?